Some people approach core exercises with the aim of improving the look of their abdominal muscles and to get that six pack. Others wish to strengthen this area to protect the lumber spine from injury. Whatever your motivation, core exercises can be pretty boring. If exercise is too mundane and repetitive then it is hard to keep motivated. Pondering over this fact resulted in the birth of Funkore-cises, or if you like (Fun Core Exercises). A special 121 Seconds sub series to motivate people to get back into exercising this important body part. 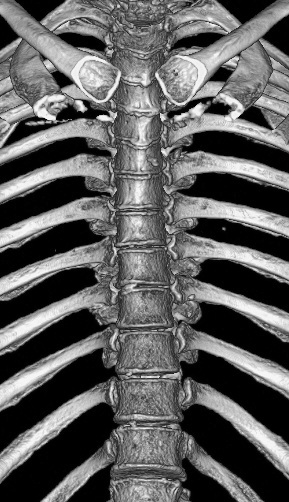 The thoracic spine is quite rigid and well protected by the rib cage. The lumber spine on the other hand needs to allow for more twisting and bending and therefore cannot have the same skeletal support. The abdominal and oblique muscles of the core are vital to provide strength and stability to this region. 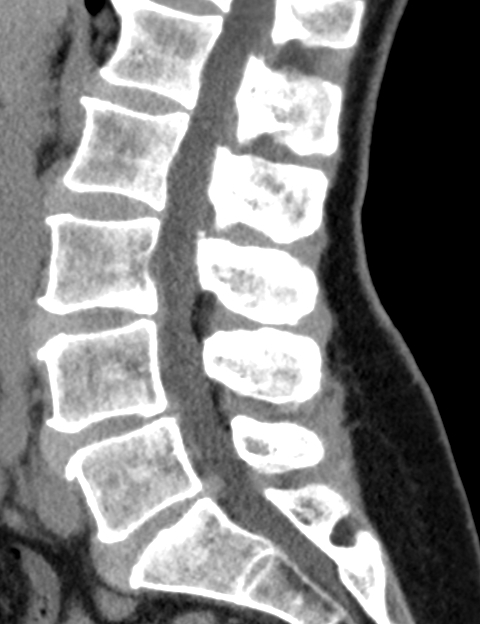 A CT of the T-Spine showing the protection the ribs provide the thoracic vault. The lumber spine can be easily injured when people rely on their back’s to lift heavy items rather than bending their legs and using their abdominal muscles. This is a body part that is easily injured and is often slow to heal. In serious back injuries, complete healing might never occur and management becomes the goal. 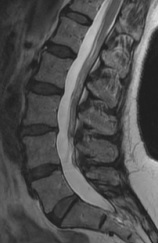 This CT sagittal slice through the lumbar spine reveals a prolapsed disc at L5/S1. In order to best protect this vital part of our bodies, the core muscles play a key role. If we can activate them every time we lift an object or perform other potentially hazards tasks then we can equip ourselves for a healthier future. An excellent activity to learn what activating your abdominal muscles feels like is to lie on your back and try to pull your belly button down towards the floor. Replicating this muscle tension in the erect position becomes a good starting point towards a healthy spine. And will help to avoid back pain. Rather than the effective yet mind numbingly boring abs and crunches, Funkore-cises aims to bring a bit of joy back into this important field of strength training. The first Funkore-cises workout Hula, simply uses a hoop which will help you adopt a traditional Polynesian dance style in the comfort of your own home. If you have the benefit of a rotating clothes line on hand, then you might like to try the Ab-Matic 121. This Funkore-cise does rely on a couple of extra people to help out, but fitness performed in the group setting often leads to increased enjoyment. Funkore-cises help us to remember that lower back pain and spinal injury is a problem far too serious to not have fun!